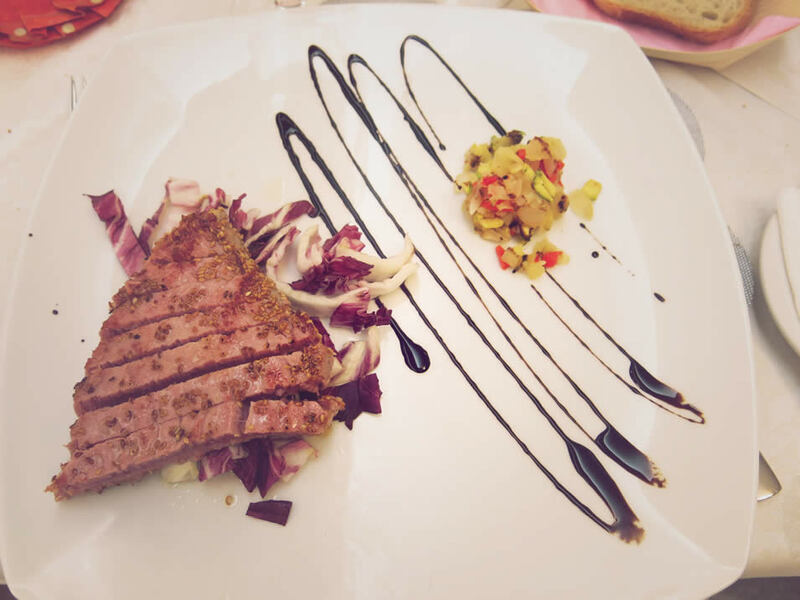 If you are looking for a hotel with excellent restaurant in Riccione, we invite you to try the flavours and fragrances of the cuisine in Hotel Amati. which is expressed in ever new proposals full of imagination. 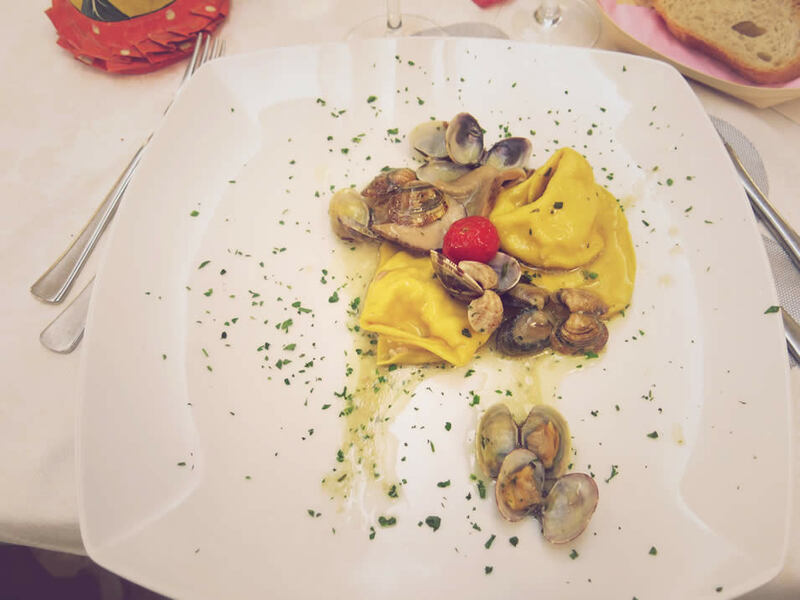 Do not miss our fun theme evenings, the typical Romagna dinner every Saturday night with the best food and wine of Romagna and piadina. 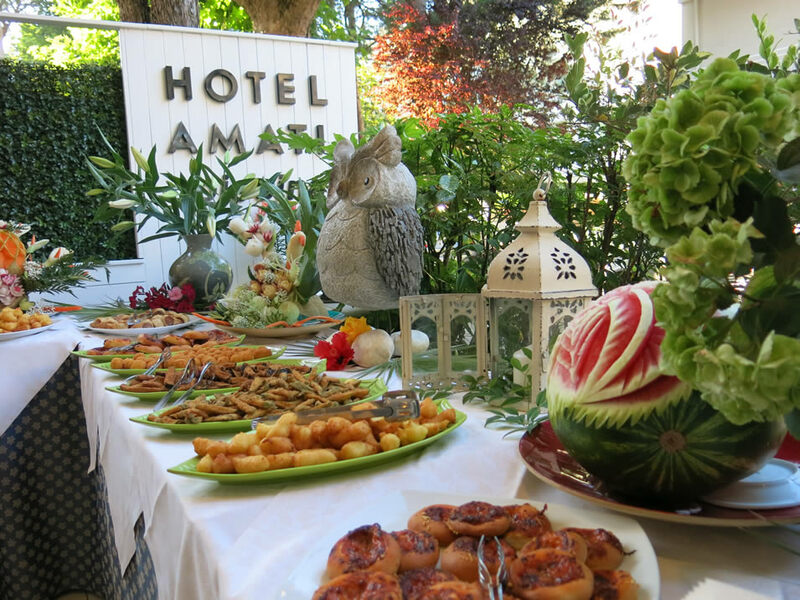 Every Sunday night come and try our great aperitif, served with a rich buffet in the garden, a real triumph of flavors, scents and colors accompanied with a cool drink. And remember: we think of your kids at the table! 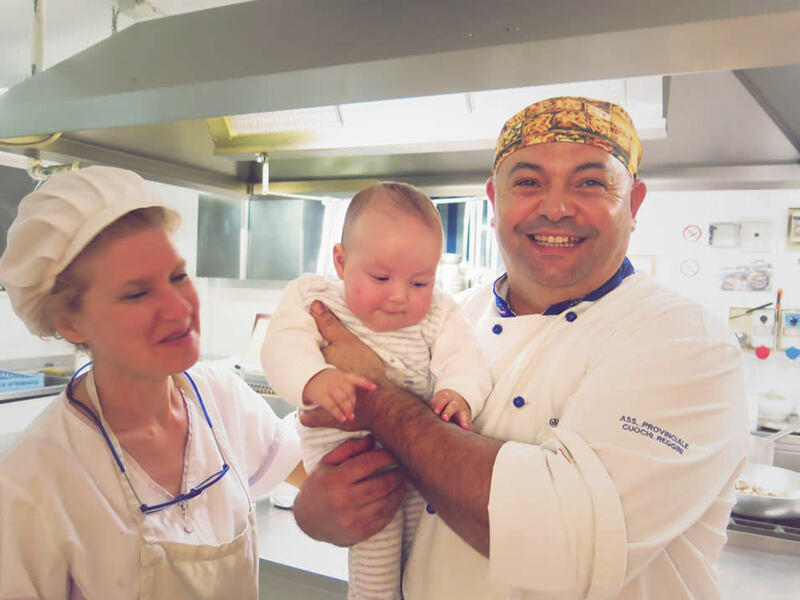 For the little ones, we always provide comfortable high chairs, baby placemats and we are willing to change the menu and dedicated offers, to make the time of meal relaxing for Mom and Dad and enjoyable for all children, with simple genuine dishes, always tasty. 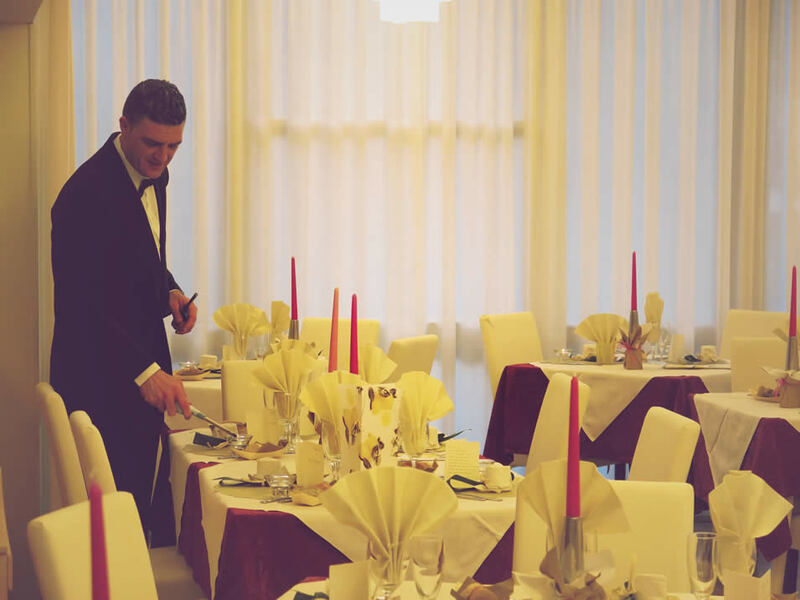 Always new and inventive proposals every day on your table, with the best local ingredients, theme nights and special attentions for your children.